Transportation and Hauling components include ratchet straps, ratchet binders, lever binders, tie down chains and more. Transport components come in 3/8" and 5/16" sizes. 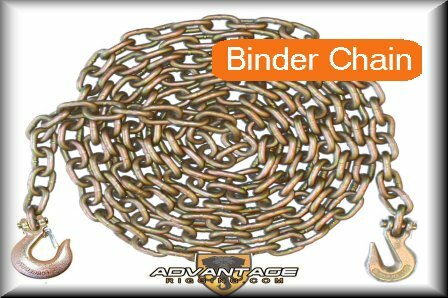 Tie down chains are available in grade 70, grade 80 or grade 100. When shopping for hauling components, consider the weight of the load you're looking to secure. The working load limit will determine what size or grade parts you will need to get the job done safely. Tie down chains are available with grab hooks in various lengths. These chains typically feature cotter pins that make them suitable for horizontal loads only. 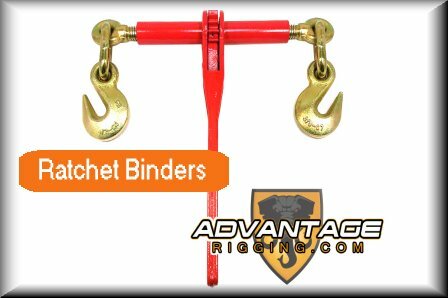 Ratchet Binders are available in 1/4", 5/16" and 3/8" sizes. 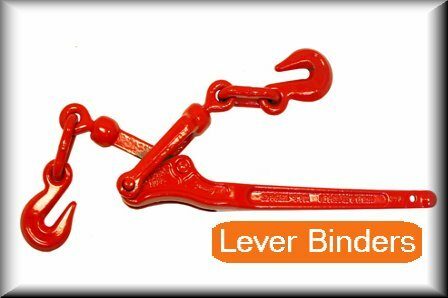 Lever Binders are available in 1/4", 5/16" and 3/8" sizes. 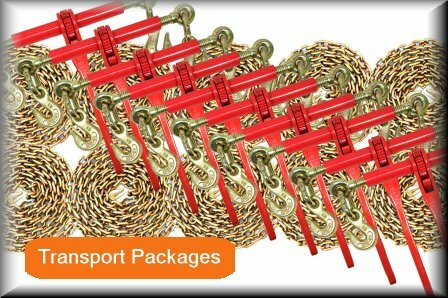 Transport packages are available with combinations of ratchet binders, lever binders and chain in various lengths and grades. We've created a package for each of the most popular configurations. If you need a custom package, reach out to our customer service line at 480-502-2225. 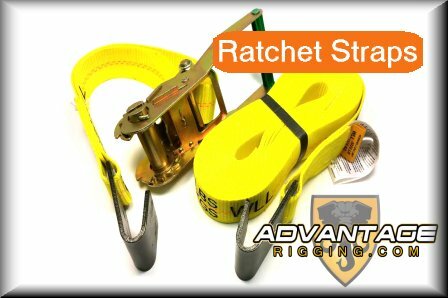 Ratchet Straps are available in 2" to 4" widths in flat and wire hooks.